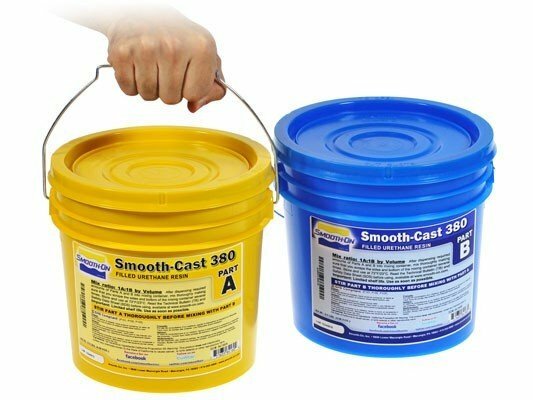 Smooth-Cast® 380 is a filled, high density casting resin formulated for a variety of tooling applications. This no-odor resin features a convenient 1A:1B mix ratio by volume, a 6 minute pot-life and cure time of about 60 minutes depending on mass and temperature. 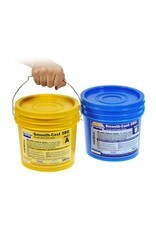 Low viscosity ensures minimal bubble entrapment and long term shrinkage of cured resin is very low. Cured material is very strong and can be machined, drilled, sanded, etc. Color can be added with SO-Strong® color tints.